So, as a last hurrah before school started I wanted to go to the conservatory in Volunteer Park in Seattle. Dear husband and I parked the car and first wandered over to the dahlia garden. From there we spotted Seattle’s Asian Art Museum. Oh! We’ve been meaning to go there. 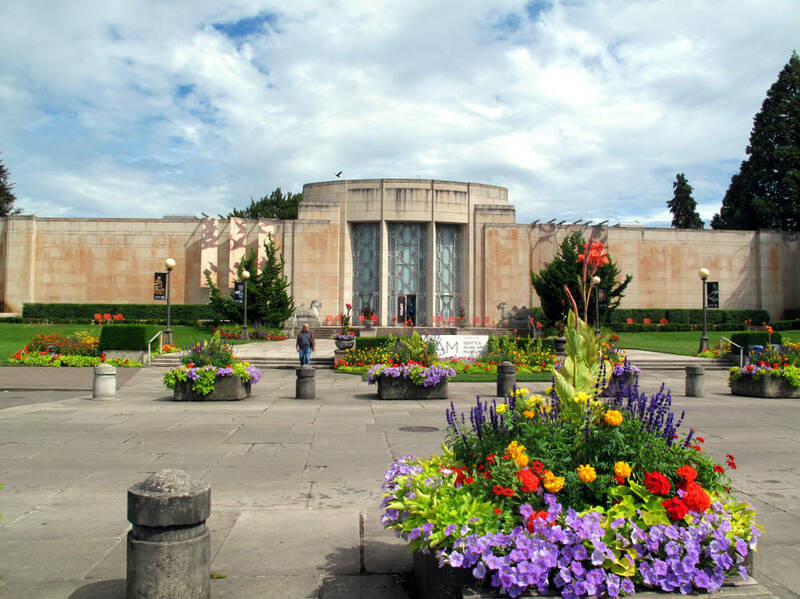 It is a lovely, art deco building constructed in 1933 was originally occupied by the Seattle Art Museum until 1991 when they moved into their new downtown location. The property is a designated Seattle landmark. The space is open and I really liked most of the exhibits. We never did go to conservatory! Maybe next time. The museum’s website is here. This entry was posted in Art -- there is art here!, Historic Sites, Museums, Seattle, WA State - King County and tagged art, Asian, Asian Art Museum, landmark, Seattle, Volunteer Park on August 30, 2013 by admin.